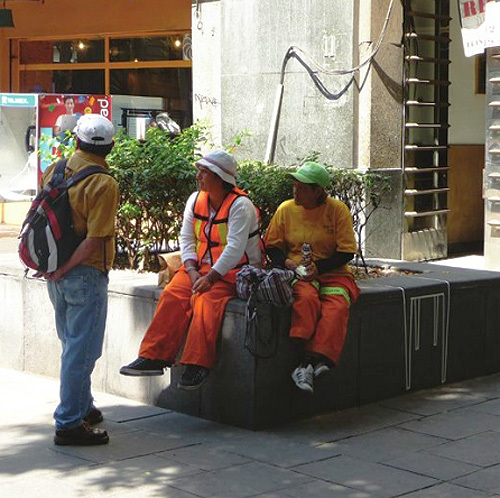 When one live in a city where urban furniture is not a priority, one finds that its inhabitants get creative and improvise by using different constructive surfaces as furniture. Insinuated furniture project is an attempt to call attention to these potential surfaces by drawing silhouettes of recognizable furniture over them. 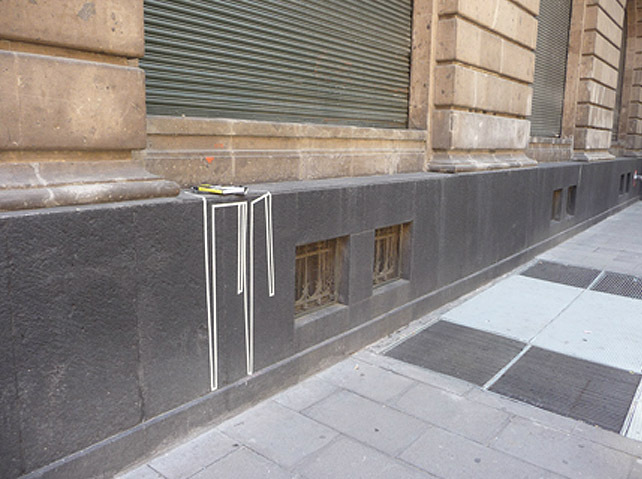 Insinuated Furniture is a task for people and/or designers to go around the city with masking tape and draw silhouettes on these surfaces. 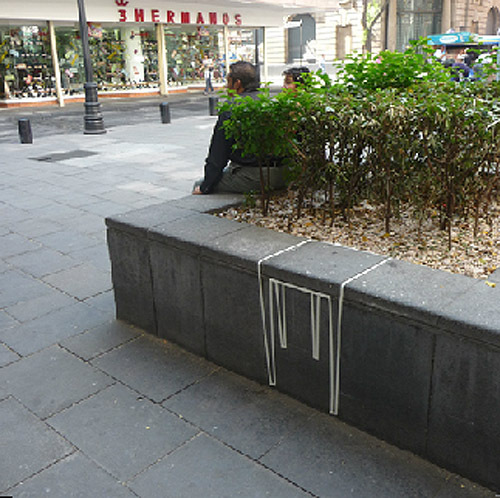 Not to necessarily add objects to the city, but to recognize how existing objects are used, or misused. To help visualize the potential of the city. 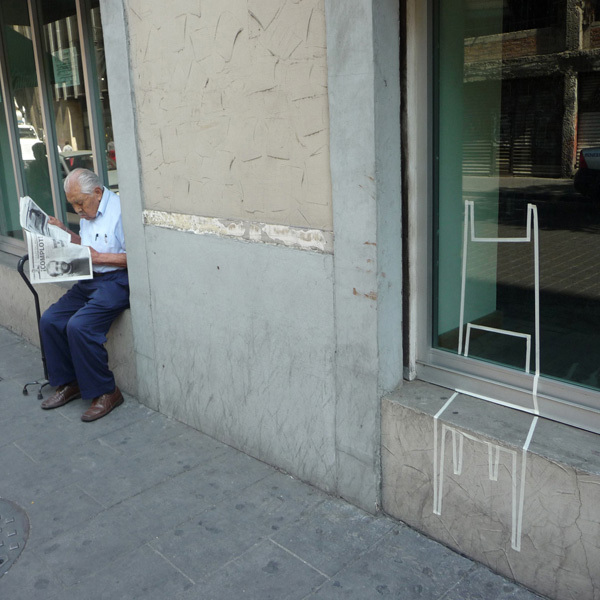 This entry was posted in Architecture, Art, Fun, Street Art, Stuff We Like. Bookmark the permalink.